Cleveland, Ohio's occult death rock conjurors, ANCIENT VVISDOM, will release their third full-length, entitled Sacrificial, later this Fall via Magic Bullet Records. 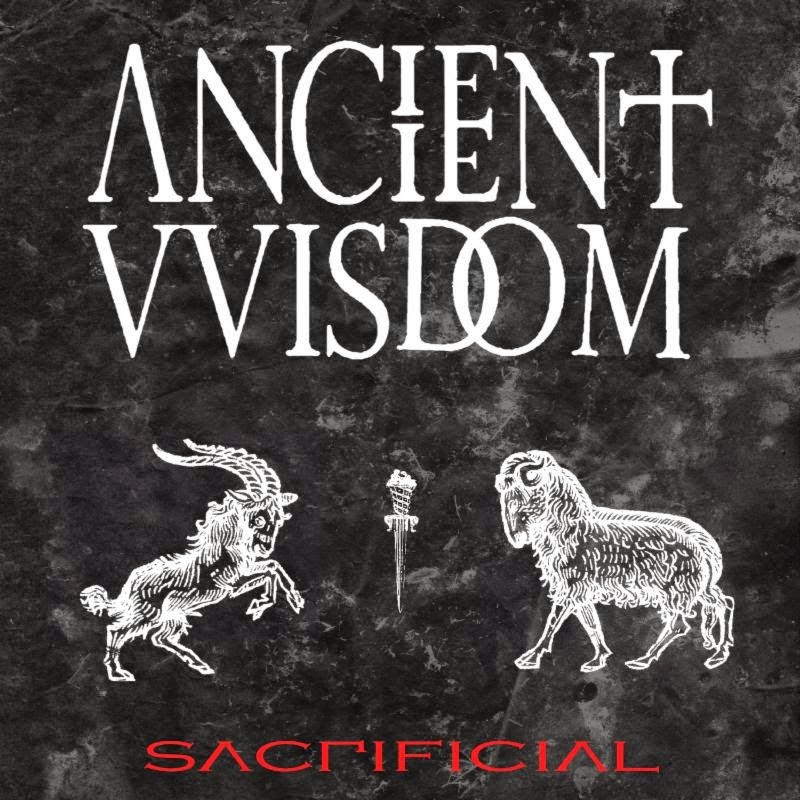 On Sacrificial, ANCIENT VVISDOM delivers ten tracks that continue to push the boundaries of both death rock and neo-folklore while retaining the memorable simplicity and melodic catchiness present on their previous, critically-lauded manifestations. Produced by founding vocalist Nathan Opposition, engineered by Travis Smith at The Diamond Factory Studios in Austin and mastered by Paul Logus (Anthrax, Clutch, Hellyeah, Shadows Fall et al) at Taloowa Mastering in New York, Sacrificial fuses all the prime qualities of the likes of Black Sabbath, Metallica, and Quicksand, into a wholly anthemic album of dark and light. Thematically, Sacrificial delves further into singer Nathan Opposition's personal ascent into the unanticipated enlightenment of exploring humanity's universal darkness. Whereas traditional lore dealing with the occult, paganism, and Satan tends to be heavy-handed (and often synonymous with a proverbial descent away from any sort of positive self-affirmation), Sacrificial spins a slant wherein "down" becomes "up." In Opposition's world, confronting one's own demons and humanity's primordial penchant toward chaos and destructive ritual will ultimately pass each seeker through a threshold unto which deeper knowledge, sage wisdom, and self-realization envelop one's consciousness. Comments Opposition, "Where there is chaos you will find us. Where there is disorder, others find discomfort but I find salvation. Lead me not unto anything. I am my own.This album will enlighten the fools and give the enlightened something to listen to." Musically, Opposition and his brother, Michael the Dark Angel, continue to accomplish what countless musicians frustratingly attempt to conquer in their songwriting: simple, memorable riffs and melodies that stand the test of time. Each hymn comprising Sacrificial is hummable and infectious. Like the best practitioners in any field, the brothers make it look and sound easy to the point where everyone listening thinks they can do it (spoiler alert: very few can ever do it). New addition Mitch Keith Morris wastes no time in making his mark on Sacrificial, channeling deep primitive and tribal percussive influences into the empowering sound that is unmistakably ANCIENT VVISDOM. Sacrificial will come available on LP, CD and digitally via Magic Bullet Records worldwide on October 14th, 2014. Preorders and song teasers to be unveiled in the days to come. Stay alert.